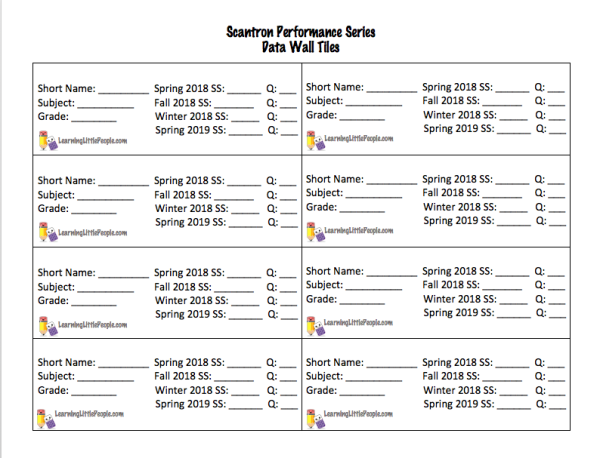 Curriculum specialists and school administrators print these tiles on cardstock for their data walls. LLP's individual Data Wall Tiles fit perfectly into pocket charts and are useful in data meetings and IEP meetings. 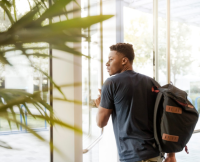 For the purposes of confidentiality, each student's "Short Name" consists of his/her first initial and the first 3 or 4 letters of his/her last name. Here's an example of a middle school's data wall with our tiles in pocket charts. Teachers use this form to record anecdotal evidence of daily occurrences in their classrooms. 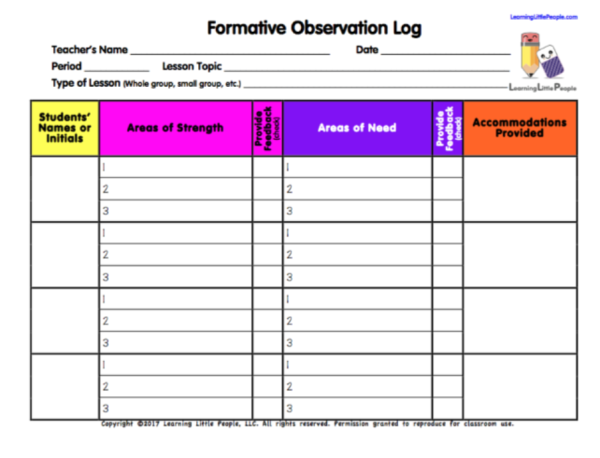 LLP's Formative Observation Log is useful in IEP meetings, parent/teacher conferences, etc.